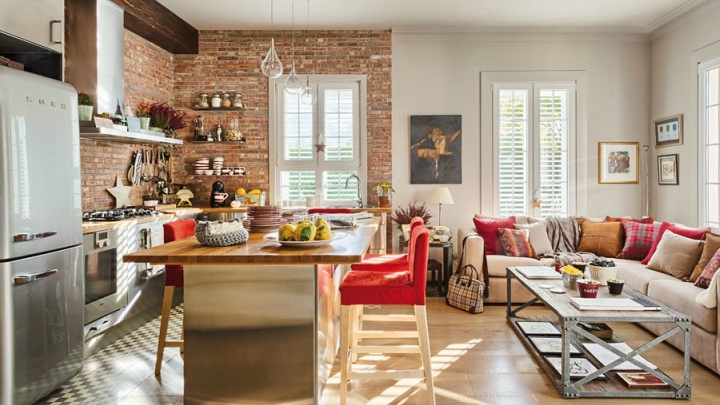 Do you like exposed brick walls? I love them! As passionate recognized industrial decor, I love how they look in almost any room in the house, even if you do not want to give this type of decorative style to your home and opt for another Nordic or vintage because painted white are also a charade … today we will see these and more ideas, designed to take full advantage of these walls. You dare? See if when you finish reading and seeing all the photos you have convinced yourself a little more. 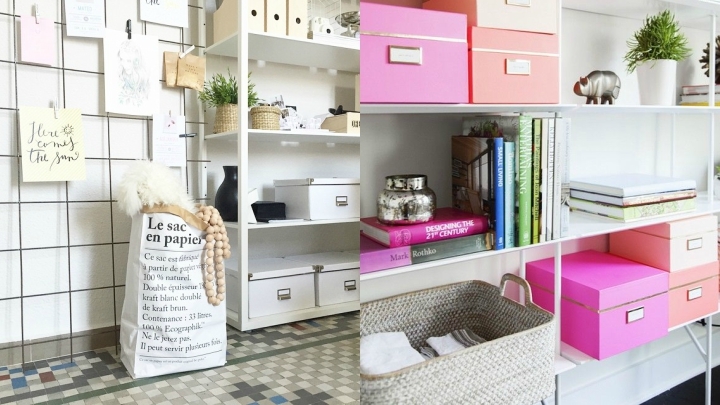 If you have a home office, you can leave one wall with brick. 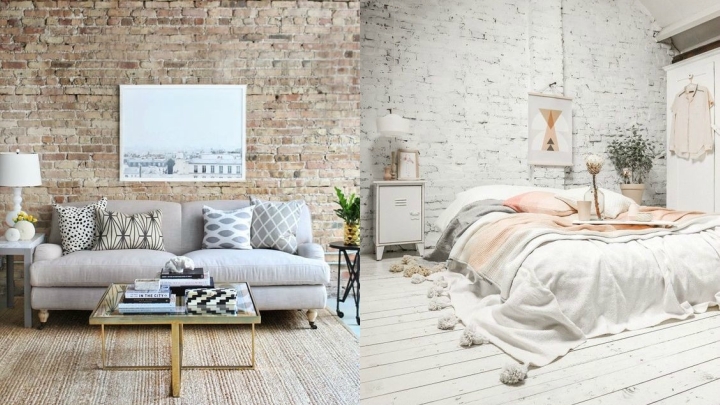 You can leave the color of natural brick or if you want to stay more bright and welcoming can paint in a lighter shade, such as white, beige, soft gray … To avoid saturating the atmosphere leave only one wall. 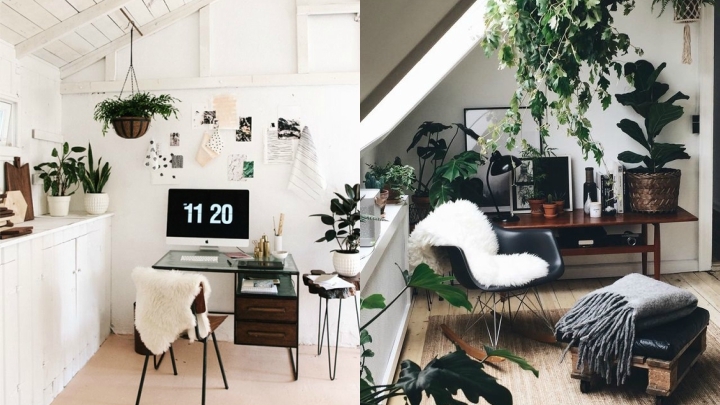 You’ll see what a beautiful style for your office. The walls with brick seen tend to absorb enough light, so another idea I teach you today is to paint them in some color that can give greater luminosity to the room. Blank can be very good in the bedroom or kitchen, for example, and perhaps the industrial style if you think this way get cold see more welcoming. Although this type of walls is more associated with the industrial style, they are also perfect if the Nordic decoration is your favorite. You can combine with wooden furniture and n light colors and a cozy textiles to provide extra warmth to the rooms. The contrast is unbelievable, it’s a wonder. Another proposal to introduce a very decorative form this brick, you can put on your wall or out of the original wall is to use it to visually distinguish two environments. 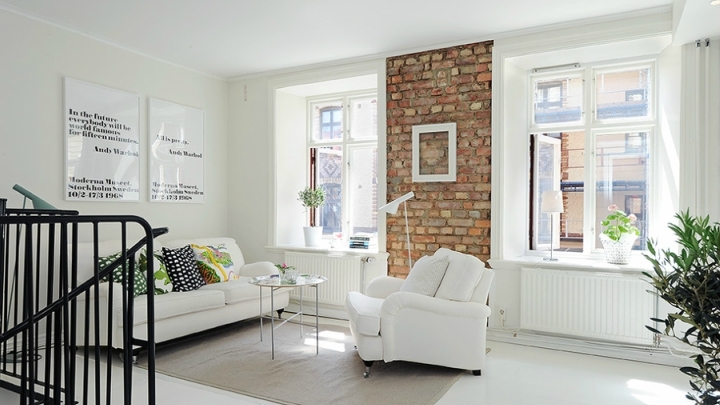 For example, as in this photo, leaving the brick in the kitchen area, which is connected to the living room, and paint the living room a light color that contrast. In one of the rooms where I like the brick is in the bedroom. Perfect for wall where the bed supports, for example, without headboard. 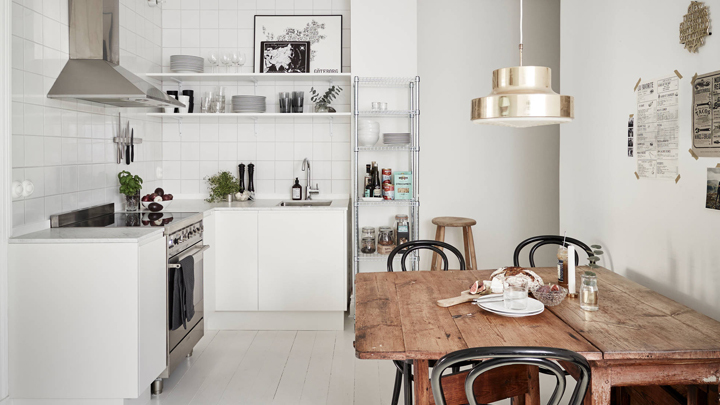 If you paint it white as we have seen before you can bring more light to the room, but untreated, coarse, with imperfections and chips, it is as I like. Although if you do not love the industrial style you have other intermediate options. As we are seeing, you have the option of using the brick well finished, polished, pretty, or employ the usually seen in more imperfect, rough industrial decoration. It is my favorite. Cynthia Walker on Houses With Exterior Designs In Modern Style. Millajarrell on Why Is Autumn the Most Important Time to Clean Your House?